Ray is both a student and trainer-in-training in the Horses for Heroes Cowboy Up! program headquartered at the ranch. This 10-year-old nonprofit offers a free horsemanship program to all post-9/11 combat veterans and active-duty military personnel, especially those dealing with combat trauma or physical injuries sustained during their service. 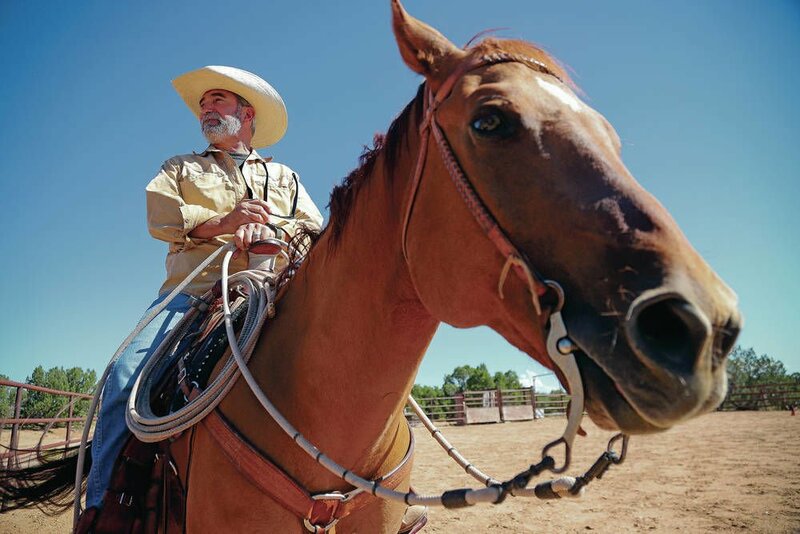 The goal, co-founder and Executive Director Rick Iannucci said, is to let the participants adapt the skills they learned in the military to the cowboy way of life — it gives them purpose and a chance to bond with others who have similar military backgrounds. The vets who apply and are accepted to the program come to the ranch for 10 days and start learning about horses within a day. Some may find themselves working as cowboys on neighboring ranches during the training. They ride, rope, groom the horses, clean out the barn and shovel manure.